Positive earth electronic ignition, a solution for all early classic cars for those wishing to upgrade the ignition but that are unable to convert or wish to keep things partly original. This simple solution with instructions included has just two wires and is a must have for those of you wishing to upgrade to electronic ignition but not able to convert from positive earth to negative earth. Two wires only involved from the conversion kit and this solution known in the trade as a set and forget system is a big money saver from any of the other products on the market. Contact us directly on our website at www.simonbbc.com and we will be more than happy to help you or search within the Categories to locate the kit to suit your distributor. Are these now available ? Certainly we can supply this ignition kit for you, these are now in stock. Hi! I have an Ford Cortina Gt from 1965,with 1500 orginal Gt engine,which is little bit tuned,The Distributor is the orginal Lucas 25 D4,positive Earth! Which electronic conversion kit should I buy from you? Does that kit work good in my engine,though its little bit tuned? Thank you for your blog message, this link HERE is ideal for your Ford Cortina. Please can you call the office on 01527 889 453 and give the details of your current distributor and we can then look into this further for you. 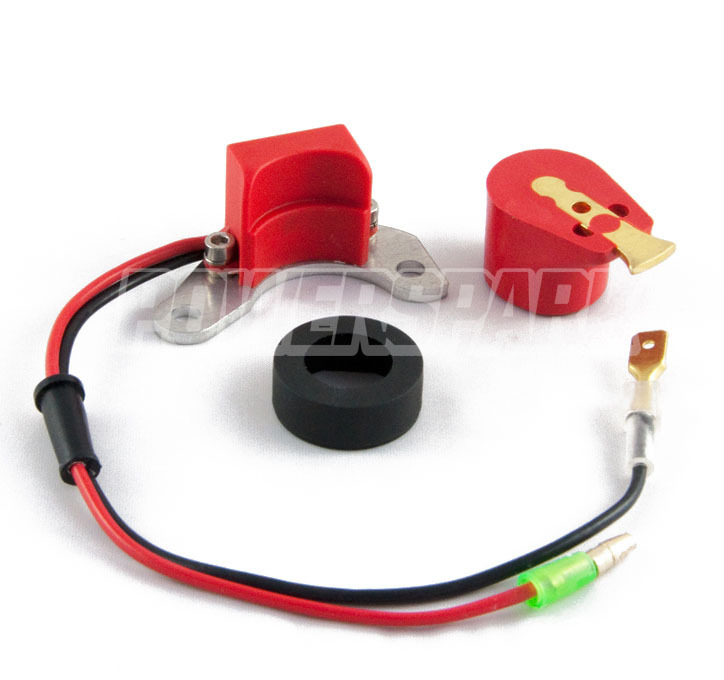 We have this ignition kit for you, please contact us on [email protected] and we can help you get the electronic ignition conversion kit you require. Yes certainly, please call 01527 889 453 to make this purchase. I bought and fitted your positive earth Distributor system for my Sunbeam Rapier, absolutely fantastic improvement to engine , thanks. Im now wanting a TACHO OUT signal to drive my smiths Tacho which I have converted to RVC. It asks for a -ve signal, can you suggest a possible output point please ? It is best to speak with our technical team directly about this by calling the office if you could please on 0157 889 453. Regarding the signal your negative side of the coil is actually the side with the Black wire on so please look at this for your signal however not all Smith’s will work with the electronic ignition conversions but we can help you with this when you call. Can you confirm which distributor model this is fitted with please and also can you confirm the grounding of the vehicle currently?